For the holiday savings of Christmas shoppers, iDream Jewelry has released discount coupons with benefits like free shipping and up to 20% discounts on a range of matching jewelry items. For Christmas shoppers, iDream Jewelry has a range of cost saving offers, this year. They have released discount coupons, promising 10-20% discounts on a wide variety of matching jewelry, including matching rings, bracelets and promise rings. Moreover, one can also enjoy free expedited shipping for each order over $200. And there is no minimum shopping guarantee required for free worldwide standard shipping. The discount coupons can be used for purchasing a wide range of elegantly designed matching jewelry items, including his and hers rings. These exclusively designed rings are made of 925 sterling silver and feature delicate embellishments of cube Zirconia. The beautiful engravings make them an artist’s piece. These stylish rings can simply appeal to anyone and the holiday price discounts bring another reason to grab these matching rings at cheap prices. iDream Jewelry has also brought an adorable collection of his and hers bracelets for purchasing in this holiday season and enjoy the price discounts. They have a large collection of beautifully designed bracelets, made from a variety of materials, such as silver, titanium steel, leather and cotton ropes. One can choose from gold pleated, beaded or interlocked bracelets for couples. One can request for a free and custom engraving on all bracelets for a personalized look and feel. Already available at an affordable price tag, the discount coupons further add to the affordability of the matching bracelets on the web store of iDream Jewelry. For couples who are in love, the online jewelry store has pleasant offers in terms of an exclusive collection of matching promise rings, available at discount prices and with free shipping. Couples can choose from a wide variety of styles, including Love Engraved Heart Knot Matching Couple Promise Rings, Cheap Couple’s Matching CZ Promise Rings, Sterling Silver Cubic Zirconia Diamonds Promise Rings and several other choices. All promise rings feature delicate workmanship and detailed designing for customers to showcase their unique style before the world. With free shipping, free engraving and discount coupons, iDream Jewelry brings pleasant deals for holiday shoppers, interested to purchase a wide variety of matching jewelry items at great prices. The offer lasts on 24th December, 2015. This holiday season, iDream Jewelry brings cost-saving reasons for shoppers to purchase a wide variety of matching jewelry for couples. Besides offering 10-20% discounts and free shipping, they are also offering free engraving on all types of matching jewelry, including promise rings, matching necklaces and others. The spokesperson of the online jewelry store reveals that all jewelry pieces are available at great prices for the holiday shoppers and with free standard shipping worldwide. However, free expedite shipping is available for a minimum order of $200 only. For a shopping of $100, one will qualify for 50% off on the expedite shipping of his and hers jewelry to anywhere in the world. According to the spokesperson, one should rush to grab the discount coupons to purchase exclusive jewelry pieces that are designed for couples. The offer will end on 24th December, 2015. 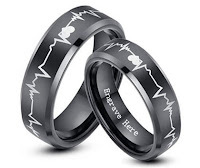 The online store has a great collection of couples’ promise rings that could prove an ultimate memento for couples to keep reminding the love and commitment to each other. 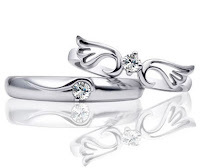 The collection features some of the innovative designs, such as Wing & Crown Promise Rings, Matching 2 Heart Promise Rings, Half Heart Promise Rings and several other unique designs. Made of 925 Sterling Silver and with exquisite Cube Zirconia work, these promise rings look out of the world and are available at great prices and with free shipping for the holiday shoppers. Christmas shoppers can also glimpse through the adorable collection of his and hers necklaces available on the web store of iDream Jewelry. 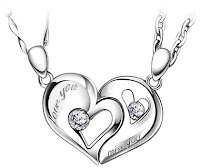 The necklaces can have a wide variety of pendants, such as interlocking heart, 2 half hearts, engraved open half heart and others. Couples can now request for custom engravings on the pendants for free and can get more personalized necklace design at no extra cost. One can also choose crystal pendants and whistle pendants and can go for other exclusive pendants available in the collection. iDream Jewelry is selling various types of matching jewelry for the couples. These jewelry are available in various shapes and sizes. There is a growing trend among couples to gift each other with matching jewelries as a symbol of love, commitment and passion about one other. To respect this trend, many online stores are selling various types of matching jewelries for couples. i-Dream is one such store that offers comprehensive collection of different types of matching jewelries for the couples. It offers easy product searching option to the customers. They can either search through typing any specific keyword or can browse through the menu options given in its home page. All its matching jewelries are excellent piece of craftsmanship. Here customers can also search jewelries on the basis of price range, stone, categories, metal, style and so on. Customers can refer to its ring size chart while searching or placing order for his and hers rings. His and hers necklaces enable couples to express their love and feeling for each other in a charming way to the entire world. This e-commerce platform has got plentiful collection of such necklaces in various designer forms. These mainly include puzzle piece pendants, heart shaped pendant necklaces, engraved dog shaped pendants and more. Customers have to pay the full amount in advance at the time of order placing. The site protects the private information of the users and never shares them with unauthorized sources. Users can also access its discount coupons to be eligible for discount on the basis of their purchasing order amount. Customers facing problem on selecting products or placing order can contact its customer service staff for essential help. Couples who are not ready for an engagement but are eager to continue their commitment to the next level can visit this commercial site which offers wide range of designer matching couples promise rings at a reasonable price. The site mainly accepts payment through PayPal, Western Union, Visa, Master, American Express and many more. The site will forward a confirming e-mail along with order confirmation number to convince the customers regarding successful placing of the order. For shipping, it uses options like Air Mail and Expedited Express. Product delivery normally takes 2-4 days and all its products are properly packed before ready for shipment. The site also offers free engraving services to the customers with fonts and symbols only for tungsten jewelry. Customers can look for some its engraving samples below while placing the order. It offers a 7 day money back guarantee for returning any product in new condition. It also offers 15 day return policy for returning any defective item to be eligible for refund. There is no fixed minimum order quantity and so customers have the scope to place order up to any quantity. We're a premier jewelry firm based in China that retails a striking range of his and hers promise rings, bracelets, necklaces, wedding bands, and jewelry gift sets. This established ornaments outlet deals in a diversified variety of jewelry knickknacks that not only caters to everybody’s tastes and preferences but also suits everyone’s pocket as well. iDream Jewelry is a leading dealer and retailer of popular jewelry items starting from necklaces, bracelets, and wedding bands to his and hers bracelets. The promise rings and nuptial bands for betrothed couples are crafted from premium grade of electroplated metals like silver, tungsten carbide, and titanium steel. Additionally, each and every ring or band chiseled by iDream’s artisans and craftsmen is a work of art which serves as a fitting testimony to their craftsmanship. The rings are available in a tantalizing variety of colors, styles and finishes and in price ranges that are within everybody’s reach. His and hers necklaces will definitely endear to eligible bachelors, engaged fiances, and especially to those affianced couples who’re scouting for a compatible ring pair that expresses their love for each other. iDream Jewelry also stocks rings and bands separately for men and women that can be matched with other jewelry items or can be accessorized with one’s dress ensemble. For instance, couples can go for ‘Engraved Rose Gold Plated Tungsten Carbide Wedding Band for Men & Women’ available in thickness of 8mm & 4mm respectively. Men can choose from ‘Brush Finished Sterling Silver Engagement Ring for Men with Cubic Zirconia Diamond’ or ‘Forever Engraved Sterling Silver His & Hers Promise Rings Wedding Bands with Topaz’. They can widen their selection range to include ‘Faceted and Domed’ Wedding Bands for Him & Her in 18K Rose Gold over Tungsten Carbide’ and ‘Black Tungsten Wedding Bands Set for Him & Her with Beveled Edges’. Women too can browse the extensive collection of his and hers promise rings before zeroing in on their ultimate choice. ‘Couple Rose Golden Tungsten Carbide Wedding Ring with Grooves and Cubic Zirconia’ and ‘Love Forever Engaged Matching His Her Domed/Flat Tungsten Wedding Ring Band’ items are iDream’s recommendations. However, the ‘Sterling Silver Matching His & Hers Cubic Zirconia Engagement Rings Set for Couples’ and ‘1.75 CT. T.W. Cubic Zirconia Diamond .925 Sterling Silver Engagement Band for Women’ are also excellent picks. One also has the option of choosing from an attractive and eye-catching repository of rings for couples. 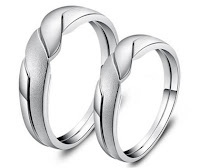 ‘Matching Couple Wedding Bands in Tungsten with 18k Rose Gold Plating’ or ‘Couple’s Tungsten Wedding Bands for Him & Her with Beveled Edges’ are good buys. You can shop by categories of ‘Rings, Adjustable Bands, and Jewelry Sets or browse by ‘stones’, ‘colors’, ‘metal’, ‘style’, ‘finish’, and ‘price’. iDream Jewelry only accepts full payments made through credit cards like American Express, Master or Visa forwarded via Western Union/PayPal. For getting delivery of your order at the prescribed address, you can have it transshipped by a shipping company of your choosing or can leave up to iDream Jewelry to ship it to you. New coupon codes will bring 10%, 15% and 20% discounts on a wide range of matching jewelry items and codes will remain valid till April 1, 2016. People will have one more reason to celebrate the New Year 2016. 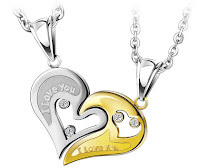 The renowned online matching couples jewelry seller announces new coupon codes for the New Year. iDream Jewelry will offer discounts of 10%, 15% and 20% for purchasing jewelry worth $50, $70 and $100 respectively. The coupon codes will remain valid for shopping online until April 1, 2016. Besides offering discount coupons, they are also offering free shipping and free engraving on an exclusive range of matching jewelry. According to the spokesperson of the online jewelry store, this could be a good opportunity for loving couples to grab beautiful matching jewelries, which include rings, bracelets, necklaces and lots more. They have a wonderful collection of his and hers rings that can draw the attention of people of all class and style. Made of 925 Sterling Silver and with beautiful engravings and Zirconia work, these rings speak about their excellence and a couple will love to wear them to show their love for each other. 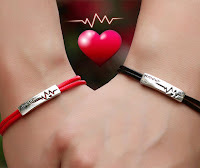 People can also use the coupon codes for purchasing elegantly designed his and hers bracelets, available in a wide range of styles. The bracelets are available at affordable prices and one can take advantage of the free engraving to get the bracelets with custom messages. 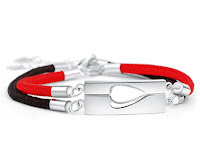 The online store has an exclusive collection of matching bracelets that are made from different materials, such as cotton ropes, leather, titanium steel and sterling silver. Several bracelets feature bead work and stone work that add to their beauty and elegance. We also have a variety of his and hers necklaces in their stock that come with exceptionally designed pendants. One can find several amazing pendant designs, such as interlocking heart pendant, two half hearts pendant, engraved open heart pendant, broken two piece half hearts pendant and lots many inventive designs. The pendants are made of sterling silver, titanium steel and crystal and one can expect a free engraving on many of these pendants. So, people willing to please their love in the New Year with a custom-made matching jewelry can grab the discount coupons available on iDream Jewelry! With their outstanding matching jewelry collections of promise rings, necklaces, bracelets and other items at discount prices, iDream Jewelry announces their New Year sale for loving couples to get custom jewelry pieces at the best prices. At the online store of iDream Jewelry, couples can find a wide range of attractive matching jewelry available at discount prices to welcome the New Year 2016. With their new year sale, the matching jewelry store is trying to draw the attention of the loving couples and make their online shopping more pleasurable with discount coupons. One can use the coupons to get up to 20% discounts for any order over $100. Besides, customers can always take advantage of the free shipping and can request for a free engraving on their chosen jewelry. iDream Jewelry brings a wonderful collection of promise rings for couples, particularly who are going to take an oath of love and commitment in the New Year. Couples can choose from a wide range of promise rings, featuring chic designs and elegant craftsmanship. The matching ring sets are designed for both partners to show their love for each other and strengthen their bond and togetherness. The beautiful promise rings with cube zirconia and diamond at the top can simply appeal to couples who are in love. By bringing an array of his and hers necklaces, iDream Jewelry allows couples to flaunt their unique style before the world. Couples can choose from a range of exclusive designs that feature sterling silver, titanium steel and crystal pendants. There are several types of pendant designs for customers to get free engravings and grab matching necklaces with personalized messages. The online store also brings matching necklaces with Blue Topaz, CZ stones, and diamonds that make them truly exclusive. iDream Jewelry specializes in his and hers jewelry, and brings a wide range of jewelry items with awesome designs and great prices. The New Year price discounts are aimed at offering more cost savings to the worldwide couples and promote the trend of matching jewelry. Customers can choose jewelries for their personal use or can gift to the known couples in the family or among friends. How to Buy Sterling Silver Jewelry? The silver jewelry and accessories available at iDream Jewelry are made of beautiful sterling silver. For our collection, we have chosen classic designs created by some of the finest silver craftsmen. This guide will help you learn to identify quality in silver jewelry and accessories. Pure silver, also called fine silver, is relatively soft, very malleable, and easily damaged so it is commonly combined with other metals to produce a more durable product. The most popular of these alloys is sterling silver, which consists of 92.5 percent silver and 7.5 percent copper. Although any metal can make up the 7.5 percent non-silver portion of sterling, centuries of experimentation have shown copper to be its best companion, improving the metal's hardness and durability without affecting its beautiful color. The small amount of copper added to sterling has very little effect on the metal's value. Instead, the price of the silver item is affected by the labor involved in making the item, the skill of the crafts person, and the intricacy of the design. Most high quality silver items are stamped with a "fineness" or "quality" mark. This mark designates the precious metal content of the jewelry, and under federal law, must be accompanied by a maker's mark or registered trademark. Because pure silver is so soft, it should only be used when malleability is required, such as in handcrafted jewelry featuring weaving and other intricate designs. Sterling silver is most often used for jewelry and household accessories because of its combination of beauty and durability. Acceptable quality marks for sterling silver include: sterling, sterling silver, ster and .925. With proper care, your fine quality silver will last a lifetime. To minimize scratches and other damage, store your silver jewelry either in a cloth pouch or in a separate compartment in your jewelry box. Avoid exposing your silver to household chemicals when cleaning with bleach or ammonia, or when swimming in chlorinated water, as these chemicals can damage silver.Now click to see more to learn how to care for your jewelry? Care should also be taken to prevent silver tarnish build-up, a dulling that naturally occurs when silver reacts with sulfur or hydrogen sulfide in the ambient air. How to clean sterling silver Jewelry? Use polishes formulated specifically to remove tarnish. You can find fine silver polishes, solutions, or cloths appropriate to remove tarnish at most hardware stores or specialty craft stores. Tarnish is most easily removed when it first becomes visible. Although wearing your silver jewelry often is the best way to prevent tarnish from building up, regular cleanings of all your silver items will prevent tarnish and keep your silver bright and sparkling. Look for the fineness mark and the maker's mark on the underside of the silver item you are considering to ensure the quality. Sterling silver is an alloy of silver containing 92.5% by mass of silver and 7.5% by mass of other metals, usually copper. The sterling silver standard has a minimum millesimal fineness of 925. Fine silver, for example 99.9% pure silver, is generally too soft for producing functional objects; therefore, the silver is usually alloyed with copper to give it strength while preserving the ductility and appearance of the precious metal. Other metals can replace the copper, usually with the intention of improving various properties of the basic sterling alloy such as reducing casting porosity, eliminating firescale, and increasing resistance to tarnish. These replacement metals include germanium, zinc and platinum, as well as a variety of other additives, including silicon and boron. Alloys such as argentium silver have appeared in recent decades. The silver jewelry and accessories available at iDream Jewelry are made of beautiful sterling silver. For our collection, we have chosen classic designs created by some of the finest silver craftsmen. Now learn how to buy sterling silver jewelry?